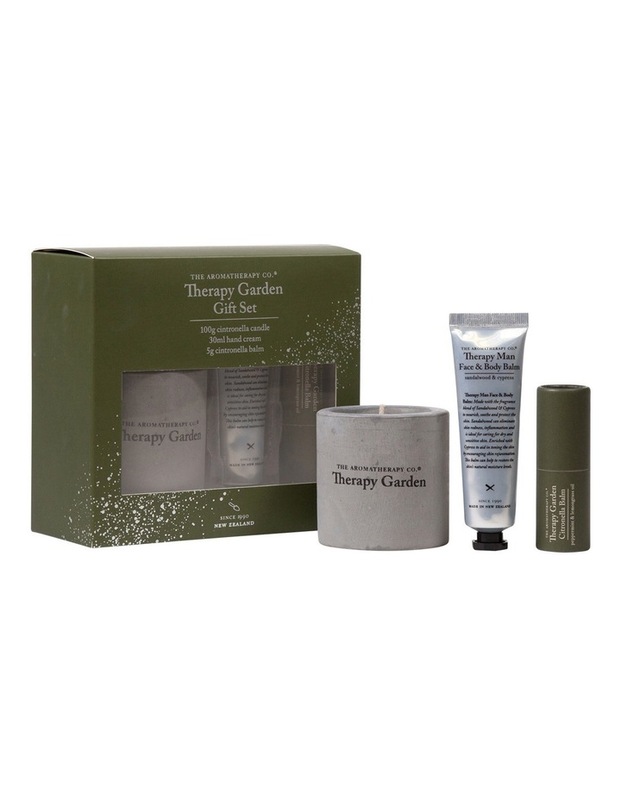 Therapy gardener set contains the essentials for garden and outdoor enthusiasts. Therapy garden moisturising hand cream 75ml contains spf 15 uva/uvb to protect hands and arms from the suns harsh rays, while the handy travel sized 15g citronella, peppermint and lemongrass infused balm helps keep mosquitos and other biting insects at bay. While enjoying evenings outdoors, light the votive cement 100g citronella candle to continue to keep unwanted bugs away.